WHAT IS IT? It is an explosion tape mani accentuating only the ring finger because first of all I think this nail polish can stand on its own. It is actually my favourite green at the moment. And then, I really have to admit, I was just to lazy to do this on all of my nails! 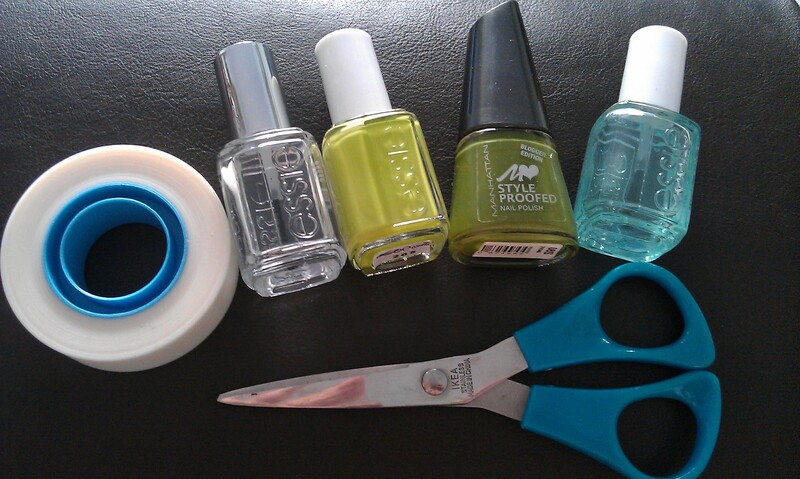 WHAT IS USED: I started with a base coat to prevent my nails from staining. I usually put one, except from when I wear nudes because I don’t think then it helps much. In this case it was essie’s All in One base. 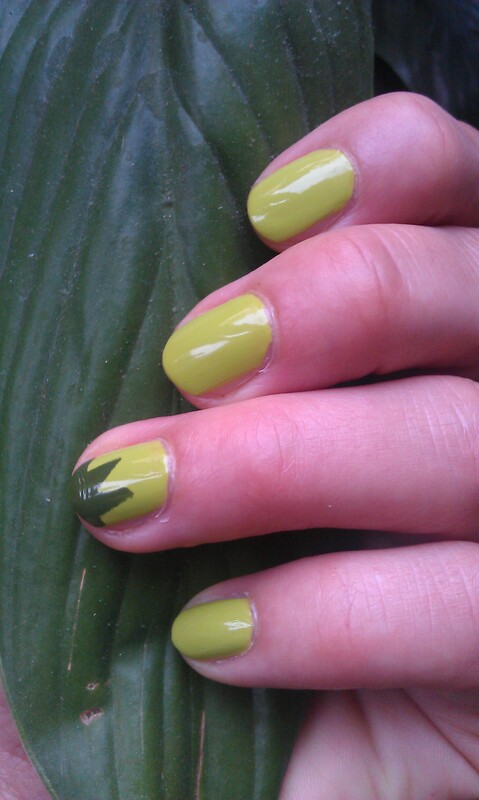 Then I put on two layers of the coolest acid green, also essie, 265 the more the merrier from this summer’s Naughty Nautical limited edition. HOW DOES IT FEEL? Actually I feel more reminded of palm trees or maybe pineapples than of an explosion but thats ok. My client said it looked a bit like marihuana which was definitively not intended. The tape mani was actually far more difficult to do than I thought as it took me ages to find the right angles for the tape. Maybe I should have read the tutorial I used entirely instead of only looking briefly at the pictures… I think with a bit of practice it could look a bit better… But I like the summer feeling this mani gives me. And maybe one day I do a two color star… That would be so cool. This entry was posted in Nail Art and tagged 08S, 31 day nail challenge, essie, Manhattan, Nailpolish, Tape Mani, the more the merrier by kathatravelling. Bookmark the permalink.